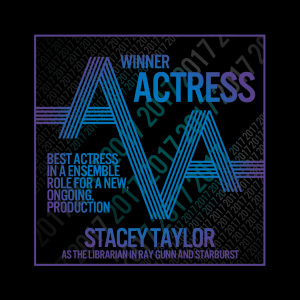 Congratulations to the amazing Stacey Taylor for winning the Audio Verse Award for Best Actress in an Ensemble Role for a New, Ongoing, Production, for her performance as The Librarian in series two of Ray Gunn & Starburst! 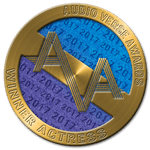 We’re so proud of all of our cast and crew who picked up a whole host of nominations in this year’s Audio Verse Awards! In total we received nominations in eleven categories and were finalists in three.